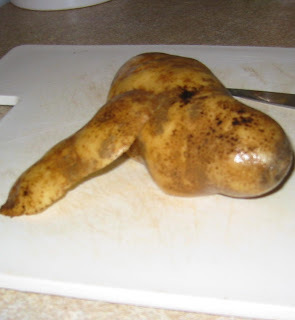 Ahhh...oven fries. This recipe has been developed over many years, and many tries at reaching oven fry nirvana. For something seemingly so simple in concept, there have been a lot of missteps in my quest to make a decent oven fry. These oven fries are the closest I have been able to come to the real deal. I add some seasoning, to add a smoky/fried nuance and enhance the flavor. 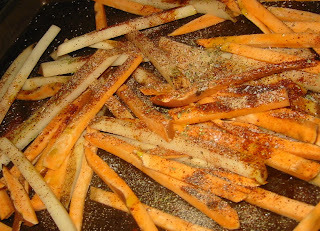 When we make these fries, I often use half sweet potatoes, half russet potatoes. I prefer the balance of flavors between the sweetness of the sweet potato and the paprika and chili powder in the seasoning mix. --make sure you give these fries their space on the tray. Do not overlap the fries--give them plenty of room, otherwise when they are cooking there is too much steam in too closet of an area and they get mushy. Use two trays if you must. --about 20 minutes into the cooking time, quickly take the tray out of the oven and, using a sturdy metal spatula, give them a quick flip. --you can use a mandoline to help make the fries, but honestly, I think the fries need to be a wee bit thinner than the "julienne" on our OXO Mandoline. I do them about 1/4 inch wide, no bigger. Toss well, making sure to coat evenly. Then spread out evenly and with space between the fries and bake in a 450 degree oven for 25-30 minutes, turning once at about 20 minutes. So there you have it. 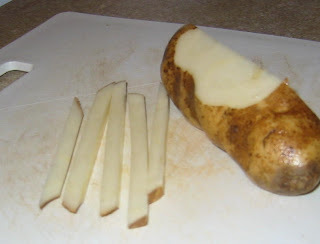 Hopefully a recipe that will give you success with your homemade oven fries! 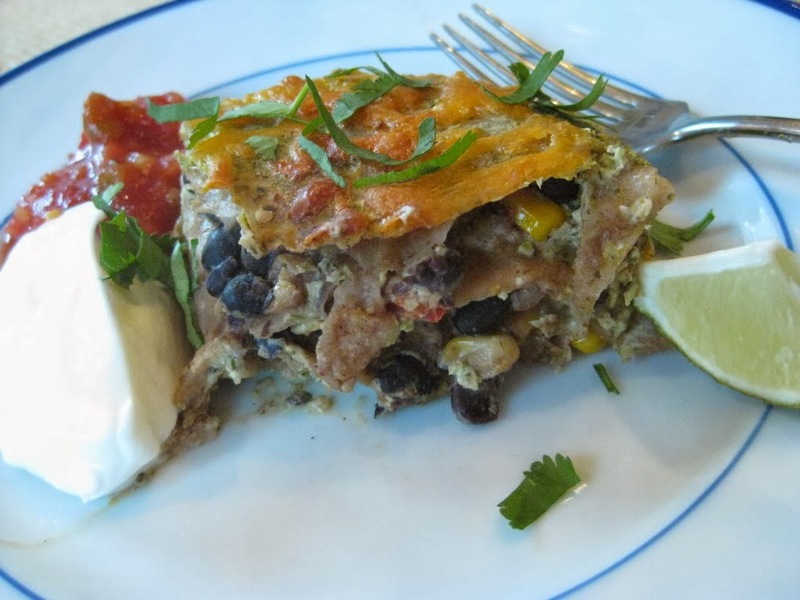 I'm so glad you posted this recipe. 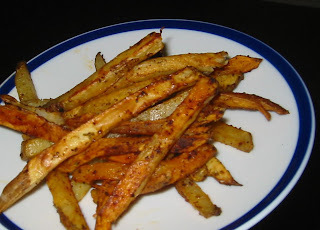 I have been wanting a good recipe for sweet potato fries. Hopefully I will make these tonight. Thanks so much....and such quick turnaround on my request! I'll definitely work that into the menu soon! Whoa mama do those look good!